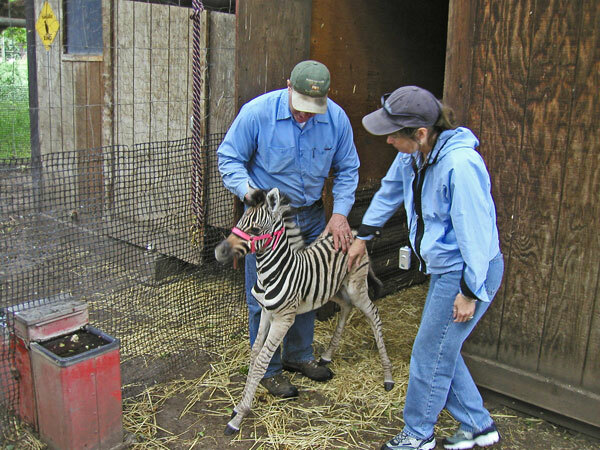 Zebras and other exotic animals for sale. 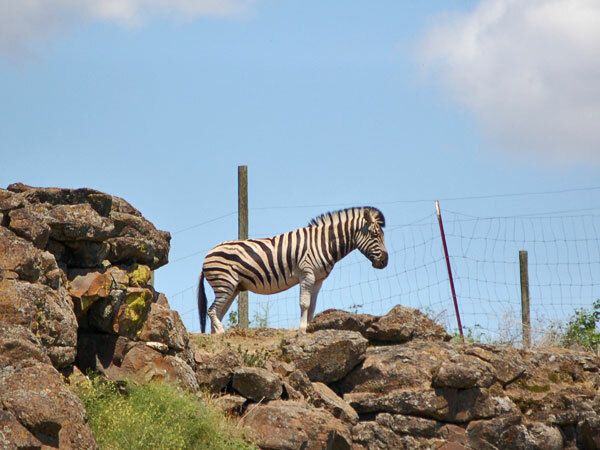 Zebras are members of the horse family and native to central and southern Africa. They have black and white stripes. 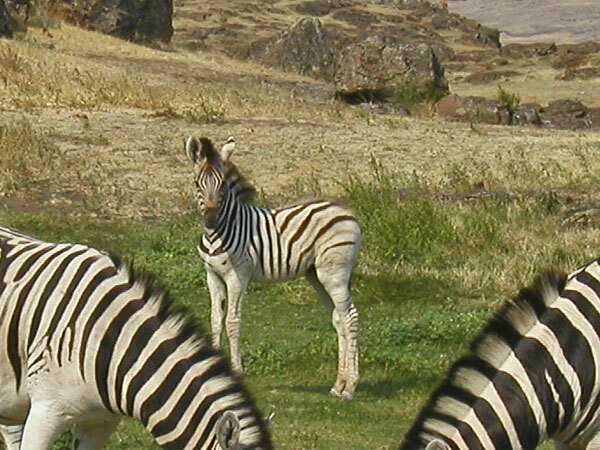 These stripes are typically vertical on the head, neck, forequarters, and main body, with horizontal stripes at the rear and on the legs of the animal. 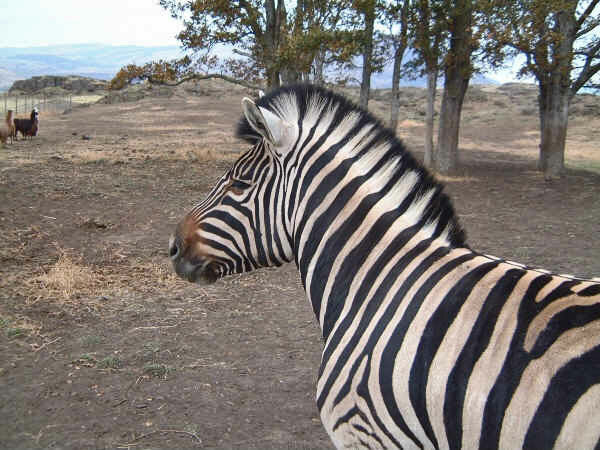 Originally, most zoologists assumed that the stripes acted as a camouflage mechanism, while others believed them to play a role in social interactions, with slight variations of the pattern allowing the animals to distinguish between individuals. A more recent theory, supported by experiments, suggests that the disruptive coloration is an effective means of confusing the visual system of the blood-sucking tsetse fly. 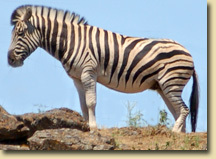 A zebra can travel at a top speed of 34 mph (55 kph), a little slower than a horse. However, it has much greater stamina. 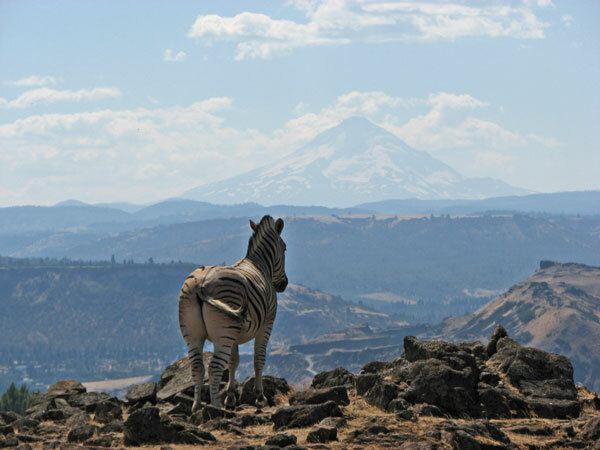 During the course of a day the plains zebra may walk 25 miles (40 km) from its herd, and back again in the evening. 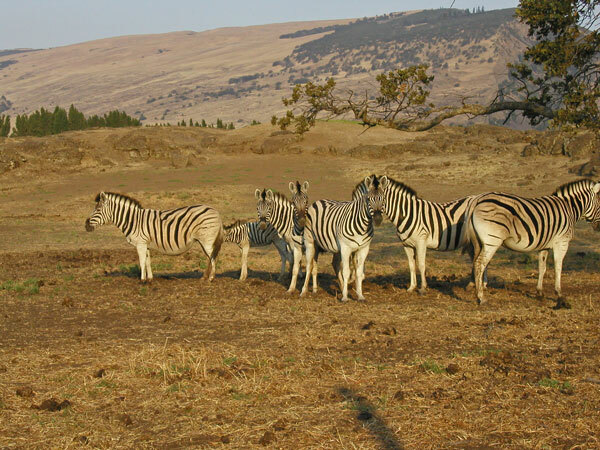 There are four existing species of zebra as well as several subspecies: the Plains Zebra, the Grevys Zebra, the Cape Mountain Zebra and the Hartmanns Mountain Zebra. 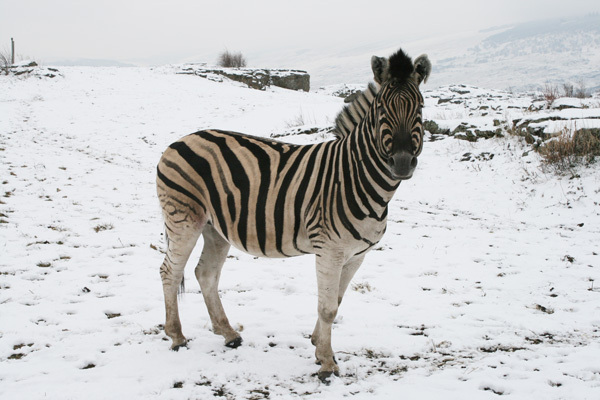 The Mountain Zebra of southwest Africa tends to have a sleek coat with a white belly and narrower stripes than the Plains Zebra. It is classified as endangered. Grevy's Zebra is the largest type, with an erect mane, and a long, narrow head making it appear rather mule-like. It is an inhabitant of the semi-arid grasslands of Ethiopia, Somalia, and northern Kenya. 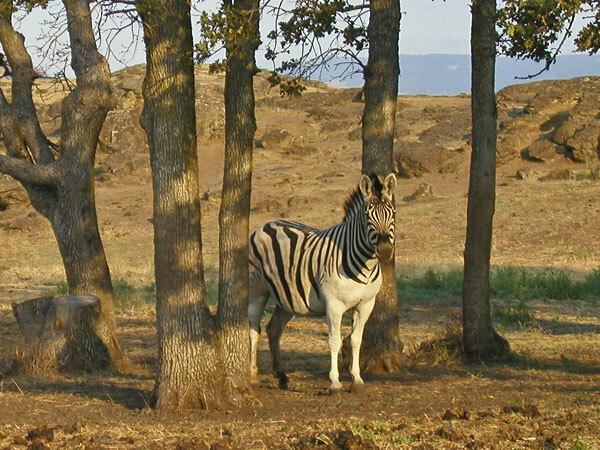 The Grevy's Zebra is one of the rarest species of zebra around today, and is classified as endangered. 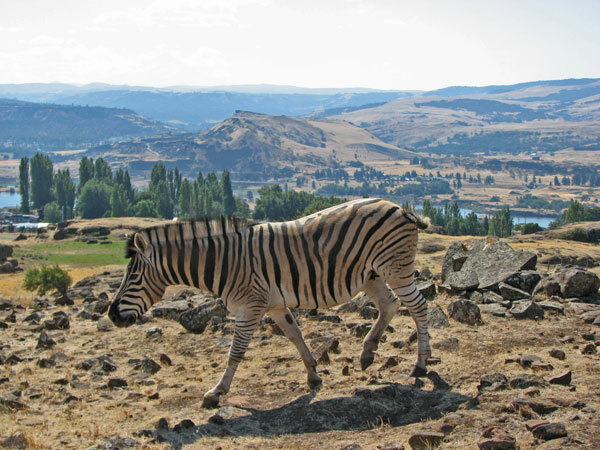 The Plains Zebra is the most common and geographically widespread form of zebra, once found on plains and grasslands from the south of Ethiopia right through east Africa as far south as Angola and eastern South Africa. 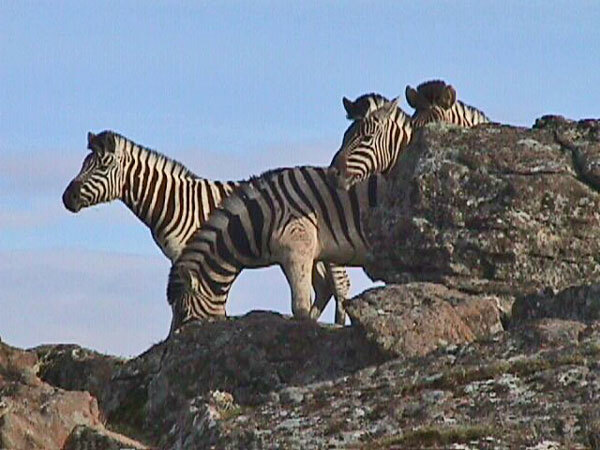 Plains Zebras are much less numerous than they once were, because of human activities such as hunting them for their meat and hides, as well as encroachment on much of their former habitat, but they remain common in game reserves. 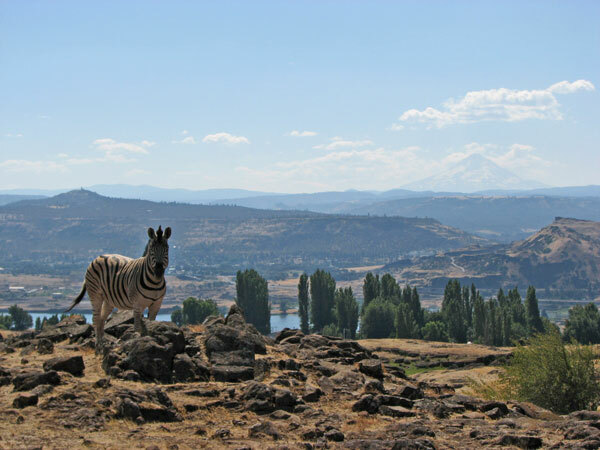 The Plains Zebra is also known as the Common Zebra. 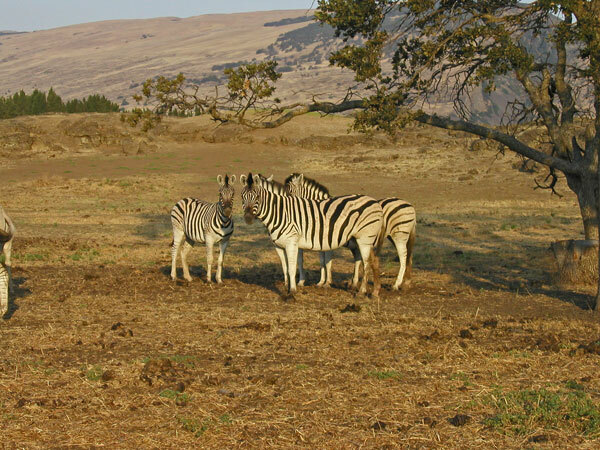 The Damara Zebra (the kind we have on our farm) is a subspecies of the Plains Zebra and generally inhabit the Savannah grasslands of eastern Africa. They are mid-sized and thick-bodied with relatively short legs. Adults of both sexes stand about 4 feet (1.4 meters) high at the shoulder, are approximately 7 feet (2.3 meters) long, and weigh about 700 lbs (320 kg). 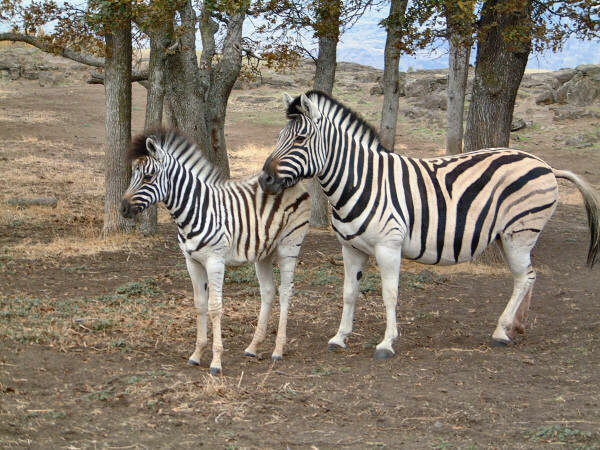 Like all zebras, they have black and white stripes with no two individuals looking exactly alike. 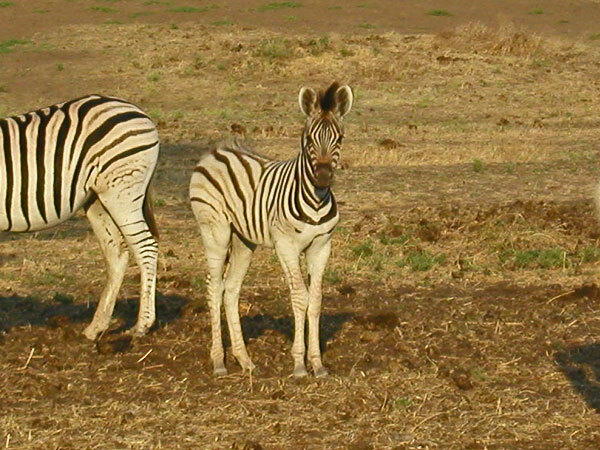 All have vertical stripes on the forepart of the body, which change towards the horizontal on the hindquarters. 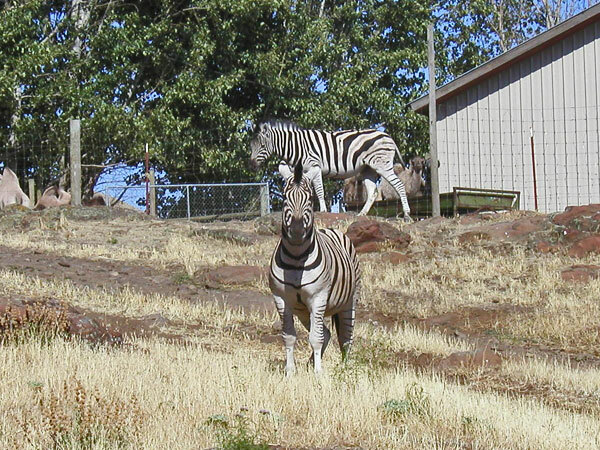 The Damara Zebra have a very defined striping pattern. 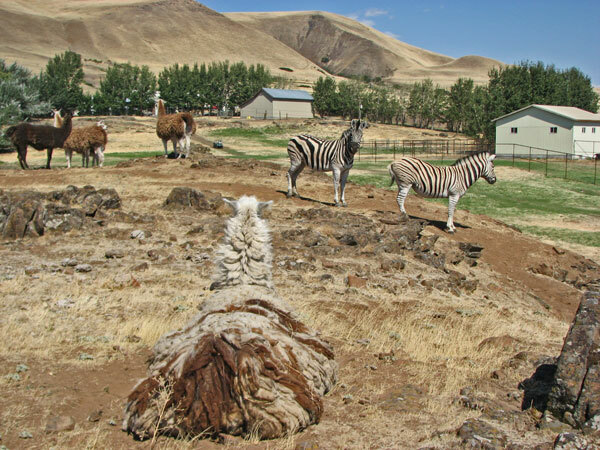 Damara Zebras are highly social and usually form small family groups consisting of a single stallion several mares, and their recent offspring. Groups are permanent, and group size tends to vary with habitat: in poor country, the groups are small. 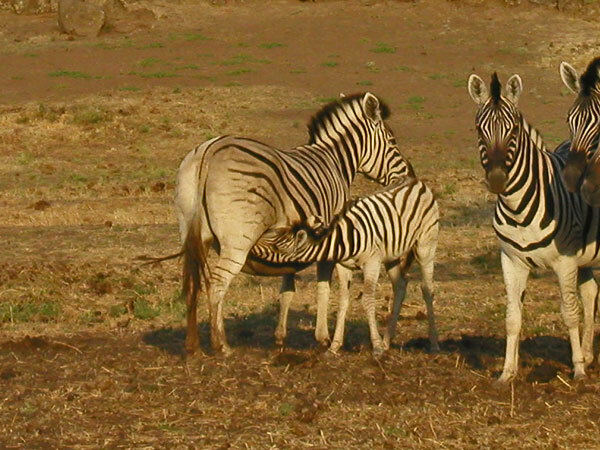 At times, the Zebra families group together into large herds, both with one another and with other grazing species, notably the Blue Wildebeests. 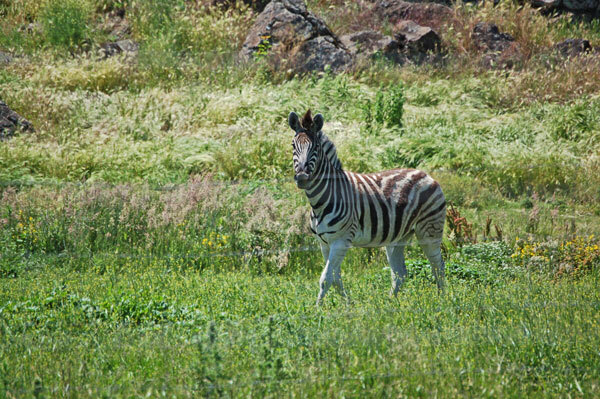 Unlike many of the large hoofed animals of Africa, Zebras prefer but do not require short grass to graze on. They range more widely than many other species, even into woodlands, and they often are the first grazing animals to appear in a well-vegetated area. 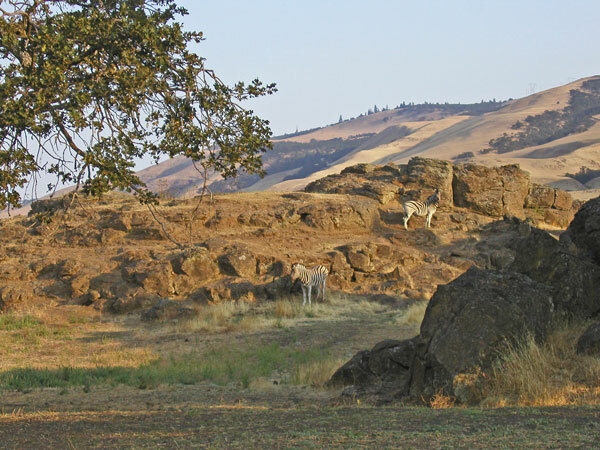 Only after zebras have cropped and trampled the long grasses do wildebeests and gazelles move in. For protection from predators, Plains Zebras move back into open areas with good visibility at night time, and take turns standing watch. They eat a wide range of different grasses, preferring young, fresh growth when available, and browse on leaves and shoots.